Peppercorns come from the Piper Nigrum evergreen vine. To extract black pepper, these peppercorns must be plucked just before ripening, left to ferment and then dried until they shrivel and turn black. Most of the world’s supply of black pepper comes from India. Aside from solely being an additive and flavour enhancer- it has a number of health benefits too. Most of the curcumin that is ingested gets metabolised before it can get absorbed. 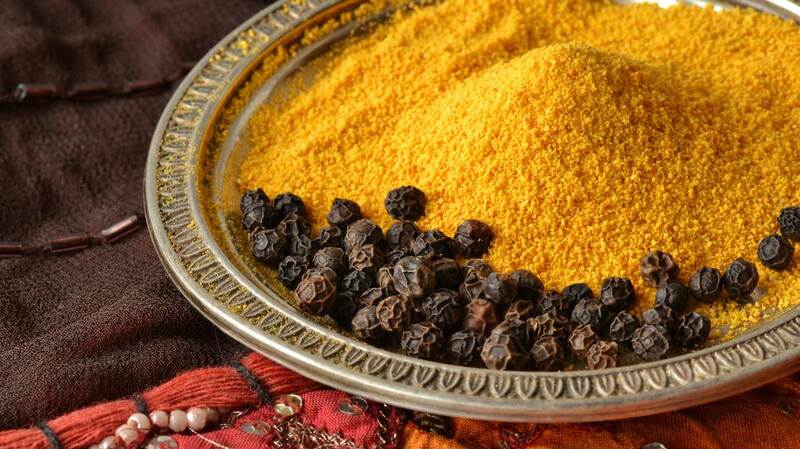 Piperine is said to help make curcumin more bioavailable. Hence, there are studies to test if co-administering curcumin with piperine could improve the bioavailability of the former. Bioavailability is the amount of a substance which enters the body in circulation. The more curcumin in your circulation therefore means you reap more from it and have increased benefits. One study found that when even a small amount of curcumin is ingested, its serum levels were very low. However, when 4mg Piperine is added to curcumin the bioavailability increased by 400%. Each of our Turmeric Extract Caplets have 5mg of Piperine. We advise taking two a day of our caplets which will give you 10mg Piperine. Therefore our caplets will have an increase of 1000% bioavailability than the average Turmeric caplet out there. Not only that but our Turmeric caplets have 475mg of Curcumin each, and so when combined with the generous 5mg of piperine you have an enormous injection of Turmeric with very high bioavailability.